The ACLU has released numerous reports of illegal spying. They include federal, state and local SARs (suspicious activity reporting) programs that encourage police, intelligence and homeland security officials, emergency responders, and members of the public to spy on neighbors, reporting any “suspicious” activities to authorities. In Terry v. Ohio (1968), the Supreme Court established “reasonable suspicion” of criminal activity as the standard for police stops to investigate further. Under Title 28, Part 23 of the Code of Federal Regulations, law enforcement agencies getting federal funds “shall collect and maintain criminal intelligence information (on an individual) only if there is reasonable suspicion (of involvement) in criminal conduct or activity,” and what’s collected is relevant. – the Transportation Security Agency’s SPOT program (Screening of Passengers by Observation Techniques), using behavioral detection officers to identify threats by observing and reporting suspicious behavior based on unscientific behavioral indicators. On June 29, an ACLU report titled, “Policing Free Speech: Police Surveillance and Obstruction of First Amendment-Protected Activity” highlighted the present danger. It also cited the long history of America’s law enforcement agencies illegally spying on US citizens and obstructing lawful political activity. It “was rampant during the Cold War under the FBI’s COINTELPRO, the CIA’s Operation Chaos, and other programs,” continuing now more obtrusively than ever under new names or none at all. As a result, “Law enforcement agencies across America continue to monitor and harass groups and individuals for….peacefully exercising their First Amendment rights,” eroding and gravely endangered. In recent years, federal as well as in at least 33 states and the District of Columbia, Americans have been surveilled, otherwise monitored or harassed by police for engaging in marches, protests, organizing, having “unusual viewpoints, and engag(ing) in normal, innocuous behaviors such as writing notes or taking photographs in public. – in Massachusetts, the Commonwealth Fushion Center’s Standard Operating Procedures. In Alaska, Military Intelligence Spied on Planned Parenthood and other groups ahead of the 2002 Salt Lake City winter Olympics, and on Alaskans for Peace and Justice in 2005. In 2007, various groups’ cellphone calls were monitored. These are examples of more widespread, continuing practices in the state. LAPD Special Order # 11, dated March 5, 2008 (Los Angeles police), lists 65 behaviors to report, including First Amendment ones like using binoculars, taking photos or videos, taking notes, and espousing “extremist” views. In 2006, the Los Angeles Times got Homeland Security reports on persons or groups participating in lawful demonstrations, including anti-war and for animal rights. Protests of various other activist organizations were also spied on throughout the state. 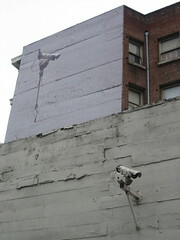 During huge anti-war San Francisco 2002 and 2003 demonstrations, police posed as protesters to monitor crowd activities. Muslim groups were also surveilled in Los Angeles, San Diego and elsewhere in the state. Since 9/11, they’ve unfairly been designated enemy number one for their faith, many falsely arrested, convicted and imprisoned for being Muslim at the wrong time in America. In Colorado, in 2005, FBI Joint Terrorism Task Force (JTTF) agents monitored the American Indian Movement, as well as peace and environmental groups on suspicions of “domestic terrorism.” In 2003, law enforcement agents infiltrated the Rocky Mountain Peace and Justice Center and other peace and social justice groups. In Colorado Springs, in 2002, police collected names and license plate numbers of environmental and conservationist groups engaging in peaceful demonstrations. In 2002, a pro-Palestinian Denver rally was monitored as well as others for suspected “anarchists” and eight categories of “extremists” for peace. In addition, for environmental and animal rights issues, and justice for Black Americans. FBI Joint Terrorism Task Force agents also spied on Food Not Bombs, a Colorado group providing free vegetarian food to hungry people and engaging in protests against war and poverty – considered “terrorism” today in America, making nonviolent activists vulnerable, especially if minorities or Muslims. In Georgia, Georgia State University Students for Peace and Justice were included in the same database. Post-9/11, School of the Americas (SOA) Watch peaceful protests and civil disobedience acts were reclassified from “Routine” to “Priority,” subject to “Counterrorism” monitoring. In DeKalb County, a vegetarian activist was arrested for writing down the license plate number of a DHS agent who monitored her peaceful protesting. The state FBI Field Intelligence Group lists Green Party members as potential eco-terrorists for supporting environmental and animal rights. In Illinois, the American Friends Service Committee (AFSC) is listed in the Defense Department’s TALON database for planning protests at a Springfield recruiting center. In Chicago, police conducted a three-day manhunt for a “Middle Eastern” man in traditional clothing after being notified that a passenger on a bus he was riding on said he was clicking a hand counter on board. An investigation discovered he used it to keep track of his daily prayers, a common Muslim practice. In Kentucky, a protestant minister was placed on an FBI watch list for ordering books online about Islam. In fall 2004, he was detained by Canadian border officials while trying to enter the country for sightseeing. He’d never been arrested, charged with a crime, or participated in a protest. In Maine, FBI agents intercepted Veterans for Peace, Pax Christi Maine, the Maine Coalition for Peace & Justice and other activist groups’ emails pertaining to planned protests at the Brunswick Naval Air Show and against the christening of an Arleigh Burke Class destroyer. In Massachusetts, the FBI recruited a University of Massachusetts police officer to work several days a week for its Anti-Terrorism Task Force (ATTF). Undercover Harvard University police were caught photographing people at a peaceful protest. A university spokesman refused comment about the school’s affiliation with intelligence gathering or the targeting of local activists. The state’s ACLU also learned that the Commonwealth Fusion Center’s “Standard Operating Procedures” let undercover police gather intelligence at public meetings even when there’s no suspicion of illegal activity. In Minnesota, FBI agents tried to get an arrested University of Minnesota student to go undercover at “vegan pot-lucks” to spy on groups organizing protests. The weekend before the start of the 2008 Republican National Convention, local and federal authorities conducted preemptive raids and arrests against activist groups to disrupt their ability to stage protests. After it began, mass arrests followed. Hundreds were targeted violently for their nonviolent demonstrations. In Missouri, the February Fushion Center report on “the modern militia movement” claimed members usually support presidential candidates Ron Paul, Chuck Baldwin and Bob Barr. In New Jersey, in 2004, the ACLU made public requests to the state’s 50 largest municipalities for documents disclosing criteria and other information used to identify individuals as “potential threat elements.” Eight refused saying they’re exempt under New Jersey’s Open Public Records Act. In New Mexico, Veterans for Peace was placed in the Defense Department’s database, saying its protests “could become violent.” In March 2003, Albuquerque police attended anti-war protest organizing meetings undercover to gather intelligence on participants. In North Carolina, a honorably discharged army veteran married to an active duty spouse was placed under Pentagon surveillance for participating in a Fort Bragg protest led by veterans and military families. Another planned protest was listed in TALON’s database even though determined to be peaceful and unthreatening. In Ohio, a “Stop the War NOW!” protest was listed in the TALON database as a potential terrorist threat. Its purpose was to read names of war dead in front of the Akron federal building and a military recruiting station. In Pittsburgh, the US Department of Energy revoked the security clearance of a Muslim American employee with 18 years of service for making critical public comments about the FBI’s treatment of people of his faith. In Virginia, the state Fushion Center’s March 2008 terrorism threat assessment called state universities and colleges “nodes for radicalization.” It also described the “diversity” surrounding a Virginia military base and black colleges as possible security threats. One man was arrested, but not charged, for videotaping the Chesapeake Bay Bridge. In Washington, a civilian Fort Lewis Force Protection employee posed undercover as an anarchist to participate in Olympia Port Militarization Resistance activities from 2007 – 2009. In addition, police stopped a University of Washington Associate Fine Arts Professor for photographing power lines as part of a school project. She was searched, handcuffed, and held in a police car for 30 minutes before being released, police saying FBI agents would contact her about the incident. An Evergreen State College student was arrested en route to a Port of Grays Harbor anti-war protest, police acknowledging he and others had been watched, calling them “known anarchists.” No charges were filed. DHS also tracked a DC Anti-War Network’s protest plans, informed the Maryland state police who’d labeled the activists terrorists. In October 2003, the FBI’s Intelligence Bulletin No. 89 titled, “Tactics Used During Protests and Demonstrations,” included Internet recruitment activity, fund raising, false documentation to access secure facilities, marches, banners, sit-ins, vandalism, physical harassment, and trespassing. No effort was made to distinguish between protected speech and potential criminal activity. In Wisconsin, a DHS Intelligence official assigned to the Statewide Information Center produced a “threat assessment” with regard to a February 2009 rally involving local pro-and anti-choice groups even though neither posed a domestic threat. DHS’ “Protective Intelligence Bulletin designated CODEPINK, Iraq Pledge of Resistance and DAWN groups “civil activist and extremist,” planning dozens of nationwide anti-war demonstrations. The FBI lists the Green Party as a potential Eco-Terrorist target. In October, DHS sent a report titled, “Nation of Islam: Uncertain Leadership Succession Poses Risks” to hundreds of federal officials despite Department guidelines designating the files for destruction because the group’s assessment lasted over 180 days without evidence of wrongdoing uncovered. For many decades, and especially post-9/11, illegal spying on Americans has persisted, disrupting their speech, assembly, and other freedoms. They’re fast eroding as the nation slips further toward repression, using a homeland police state apparatus against individuals or groups opposing the destruction of their constitutionally protected rights more than ever under threat.